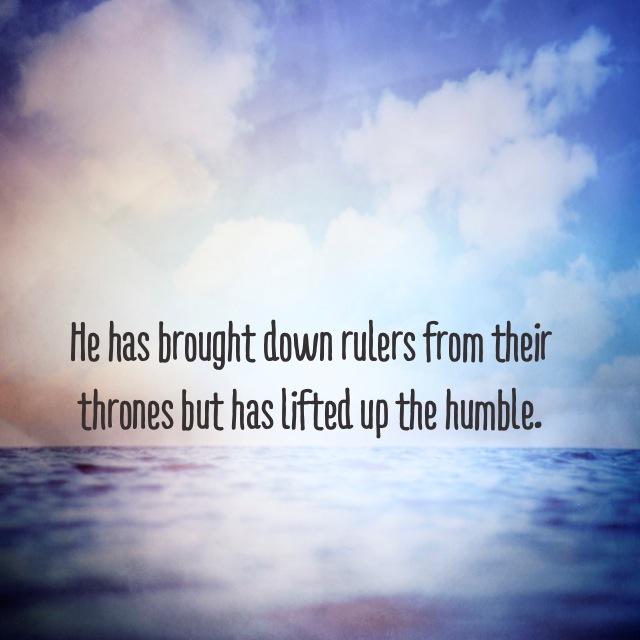 Why do you think Mary praises God in her psalm for lifting up the humble and scattering the proud? Are there areas in your life where you are prideful in your inmost thoughts – your motivations, your thoughts of yourself, your thoughts of others in relation to yourself? Can you identify any mighty deeds that God has performed in your life? Father, extend your mercy to me. I am desperate for it. I have had self-aggrandizing motivations just this week. I have tried to wrest control away from you, I have sought my own glory over yours, I have sought my own comfort over love for someone else. Father, without you, I can do nothing. Pour your grace over me once again. Purify my inmost thoughts and bring me low if it means you will be lifted high.